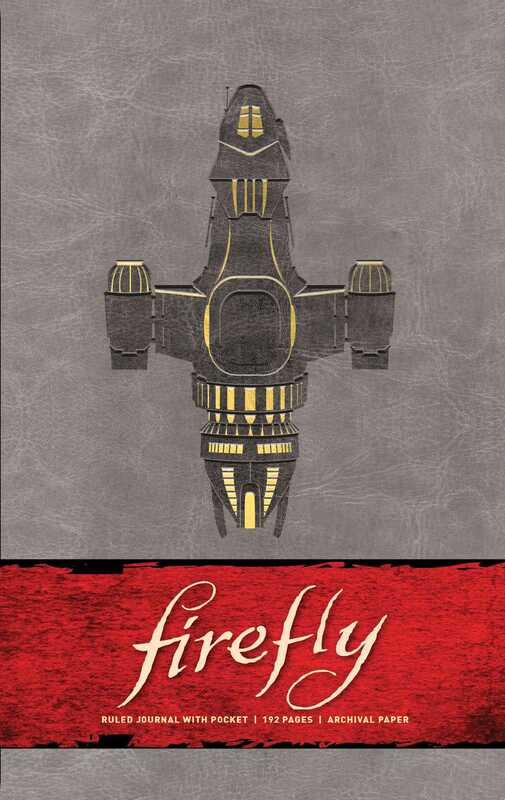 Enter the epic fantasy world of the cult show Firefly with this beautifully crafted journal featuring the iconic Serenity ship and its colorful crew. Join Captain Malcolm "Mal" Reynolds, Zoe, Wash, Kaylee, and the whole crew of the Serenity and record your own adventures in the ‘Verse with this shiny notebook. This high-quality journal features 192 ruled pages, a ribbon placeholder, and a pocket in the back for storing mementos. Including iconic images of the beloved characters, this is a must-have for any discerning Browncoat.